On March 1, 2010, I received a phone call that changed my life forever. My dad, on government contract in South Carolina, was in the hospital. It was not clear what the issue was, but it was urgent. The evening of March 1 was spent online, trying to find an affordable airline ticket for the next day. Simply put, they were not available. I ended up spending seven hundred dollars on a two connection flight from Milwaukee to Columbia, South Carolina. One connection flights and even direct flights from Milwaukee to Columbia are available, but they were at least a hundred dollars more expensive. To prove my point, I now log on to Expedia and search for the same round trip flight as if I had to take the flight tomorrow. The cheapest price comes up: $882.50. This two stop Delta/US Airways flight comes up right at the top. Just beneath it: a one stop US Airways flight for $950. Bear in mind, there is no logical reason why a person would have to stop at two airports when flying from Milwaukee to Columbia except to goad someone into spending more money. Considering the price of fuel, one would think that a two stop flight would be more expensive. Now, I do a search two weeks ahead. A one stop flight immediately shows up for $259. This is not meant to single out Expedia. The same or similar applies to all of the major independent flight booking websites: Hotwire, Travelocity, Orbitz. On none of these sites is there a box to click in the case of a medical emergency or bereavement. The net result is that airlines profit from the fact that one cannot schedule when an emergency will arise. This applies equally to medical emergencies and funerals. An additional profit is to be made in medical emergencies when one is also unable to schedule how long the emergency will take. When I went to Columbia, I would eventually have to purchase another ticket altogether for my return flight. Although one cannot get a medical emergency or bereavement fare through travel websites, they are available direct from many — but not all — airlines. This usually requires calling the airline directly, and the tickets cannot be purchased on the airline’s website. A 2004 study by Smarter Travel found that, in general, they could get a better rate directly from a travel website than the bereavement fare. 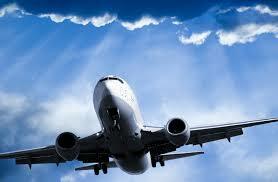 The study lists seven airlines: Delta, American, United, Northwest, US Airways, Continental, and AirTran. Of these seven, only AirTran did not offer a bereavement fare (they say as much here), but all of the bereavement fares were beaten by fares that Smarter Travel was able to find on the major vacation websites. The worst was Continental –now merged with United — whose bereavement fare was $400 more than its own lowest regular fare. The study, however, is questionable because the flights were being booked three days in advance. Sometimes, in an emergency, one does not have three days. That is why it is called an emergency. A closer look into bereavement fares shows them to be a mixed bag. One gets the sense that in some cases the airline is still attempting to profit off of tragedy, some airlines seem to be making a genuine effort, and some — ahem AirTran — simply make no effort, at all. This is how it works. The upside of bereavement fares is that they usually offer flexible travel dates, including a flexible return date. The most common way that an airline calculates a bereavement fare is by taking a certain percentage off the lowest published fare, waiving fees, and offering a flexible return date. One can see immediately that the airline may still retain a great deal of profit in this case. If one is attempting to book a fare one day in advance of the departure, the lowest published fare may be exponentially higher than the one paid by the guy sitting next to me or anyone else on the flight. If an airline took 10 percent off of the $950 one stop fare mentioned above, I would still be on the hook for $855 for my hypothetical trip tomorrow. Travelocity did a study breaking down some of the policies by airline, but the research is spotty at best. It tells us that Air Canada has no bereavement fare available, but a commenter tells of Air Canada being of assistance. The article praises United’s policy of taking 10 percent off of the lowest available fare, but I see noting praiseworthy in this policy. Needless to say, Continental’s policy was far from compassionate, with a discount scale based on the price of the ticket. One thing that stands out from both studies is that American Airlines is probably the forerunner for most compassionate airline. They have set bereavement rates that do not change, and travel dates can be changed as many times as need be without fares. In addition, American was the only airline that Smarter Travel found with a bereavement fare lower than any of its published available fares. On one occasion when I was having the minor emergency of forgetting to send flowers for Mother’s Day, a friend suggested that I bid for a ticket on Priceline, and I was able to find an affordable ticket at the last minute. In the face of the lack of compassion from many airlines, that may be your best bet. I can only hope that my emergencies will occur on Mother’s Day.